Be proud, prepare yourself and R.E.A.C.H for the stars! Part Time and FULL TIME NURSERY SPACES!!! 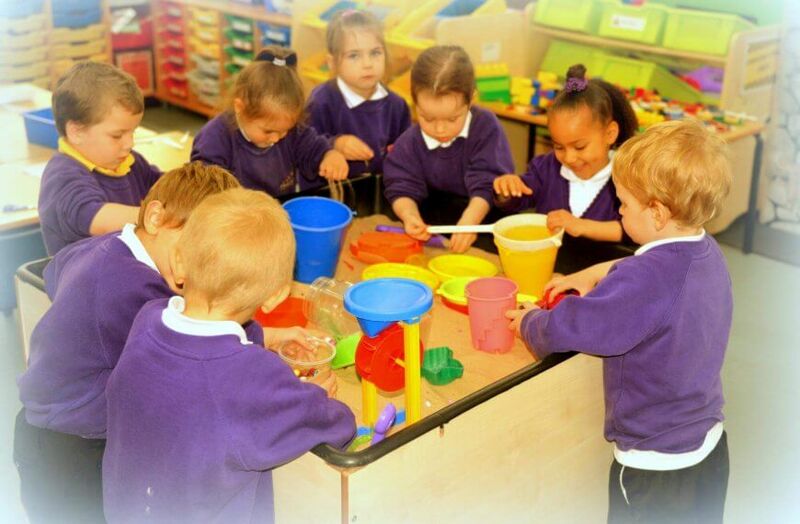 We provide a nurturing Nursery provision. Children attend from 8.45am to 11.45am Monday to Friday using their government funded 15 hours. 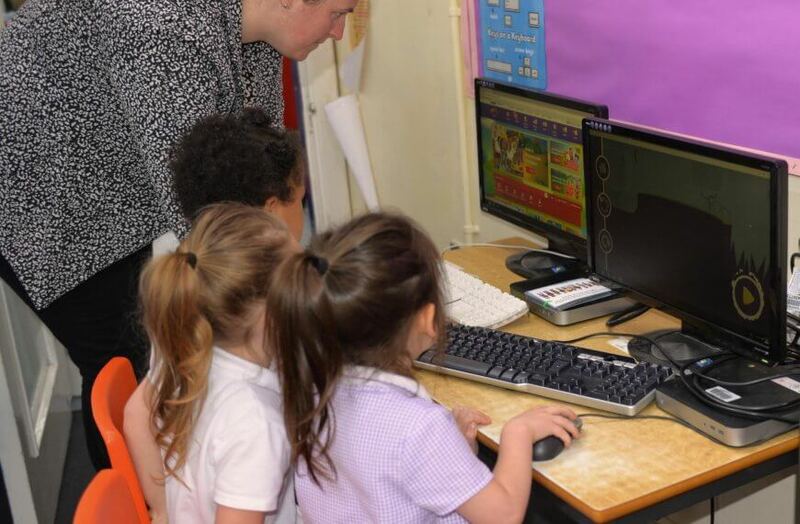 We are also able to provide full time provision enabling the children to stay from 8:45am-3:15pm daily. For those that are eligible, you can use your 30 hour funding to stay until 2.45pm or pay a “top up” of £25 per term or £1 a day to stay until 3.15pm. If you are not eligible for 30 hours government funding you can pay £13 per day (£65 for the week) for your child to remain in school until 3.15pm. Hot meals are available at a cost of £2.20 per day or your can bring a packed lunch. Pop into our OFFICE to find out more! Our Breakfast Club is open for children at 8am for which there is a flat rate charge of £1 per day, which includes breakfast. If your child is in receipt of Pupil Premium, then Breakfast Club is free. Registration for all children is at 8.50am (whistle blown at 8.45am). We are currently in negotiations with Little Walkers, to provide on-site after school care from 3:15 to 6:30pm. We are happy to be able to provide a number of before and after school clubs. Please pop into the Office for more information. (For those in receipt of Pupil Premium, please discuss your child’s interest in the clubs with the Head Teacher as there are subsidised rates for paying clubs). The whistle is blown at 8.45am to allow the children to be promptly in school for registration at 8.50am. The school morning is therefore from 8.45am to 11:45 (Nursery), 12.00pm (EYFS/KS1) and 12:30 (KS2) . The lunch hour runs from 12.00pm to 1.00pm for Full Time Nursery, Reception and KS1, 12:30pm to 1:30pm for KS2. This is then followed by the afternoon session, which runs from 1.00pm to 3.15pm. (EYFs/KS1) and 1.30pm to 3:15pm (KS2). A good, well-managed homework programme helps pupils to develop the independent learning skills they need for successful lifelong learning. We are grateful for parental support in organising homework. 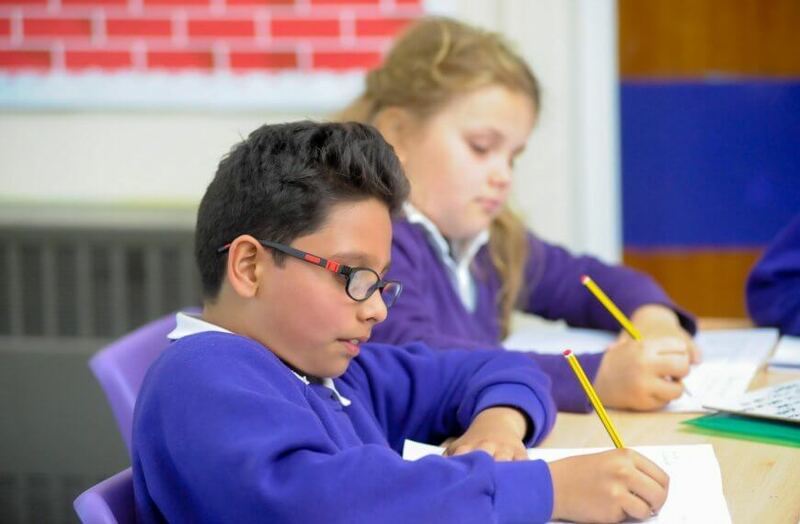 Be given additional, more extensive homework tasks in Year 6 to help them prepare for secondary school. Parents and other family members can support pupils by coming in to see the class teacher if anything is not clear. We ask all parents/carers, to read with children and to write positively in the reading record at least four times a week in Reception and KS1, and at least weekly in KS2. This support is vital in encouraging children to read. A variety of homework is set weekly. We ask parents to make sure their child completes their daily maths challenge. if they do complete it every day, they can earn rewards. We encourage parents and carers to allow pupils to use ICT at home. Our Home School Agreement is a very important document, which we discuss and agree in each class at the start of the year with staff and pupils. It sets out the agreed school rules. Children and staff are expected to sign this, and refer to it through the year. We ask that parents discuss this with their child and sign up to the school rules also. 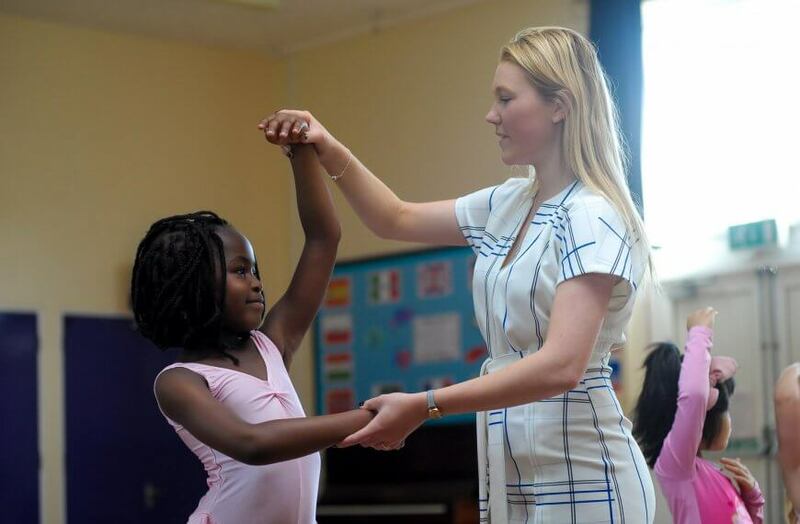 As a school, we are committed to improving the outcomes of all of our pupils. We have re-introduced 3 new core curriculum approaches – Mastery Maths, The Power of Reading and Talk4Writing and as from January 2019, we will be revamping our STEM curriculum (Science, Technology, Engineering and Maths), to ensure that we are giving all of our children access to a 21st Century Curriculum. We will also be improving our Music curriculum – and already have Year 3 learning to play the Ukelele and Year 4 learning to play Violin. To keep our parents updated, we hold a monthly Parent’s Forum. We have two Parent’s Evenings (in October and March). An end of year report is provided in the Summer term. 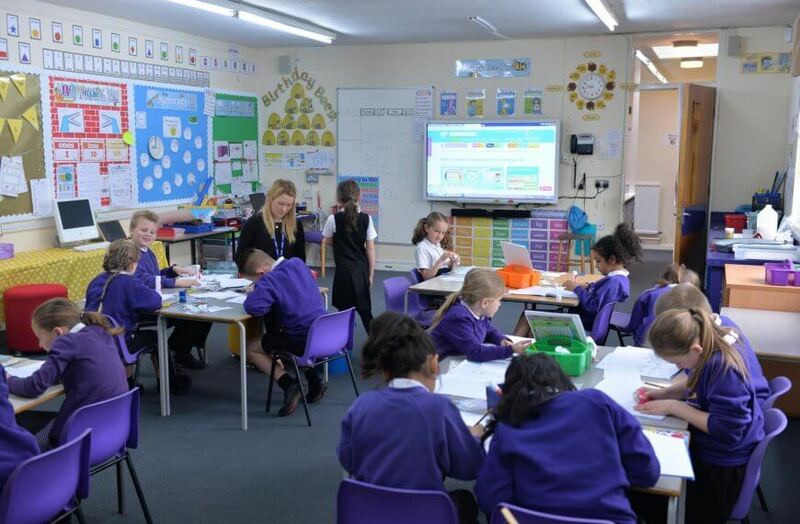 If you want to find out more about your child’s progress, please ask the Office to arrange a time for you to come and speak to your Class teacher. We firmly believe that our pupils are at the Academy to maximise their potential. It is important that all children take responsibility to create a positive working environment by behaving appropriately in lessons. We have a comprehensive system to remove students whose behaviour is disrupting the learning of others. This ensures that the majority learn, as the teacher is free to teach. Children involved in repeated poor behaviour are monitored and appropriate intervention applied. Occasionally a child may fail to conform to the requirements of the school community. In very serious cases, as a last resort, when a child causes deliberate suffering to others, is persistently rude to teachers or other adults, or brings the school into disrepute, the child may be excluded from school and the Education Authority informed.